Root development is essential for proper nutrient absorption. 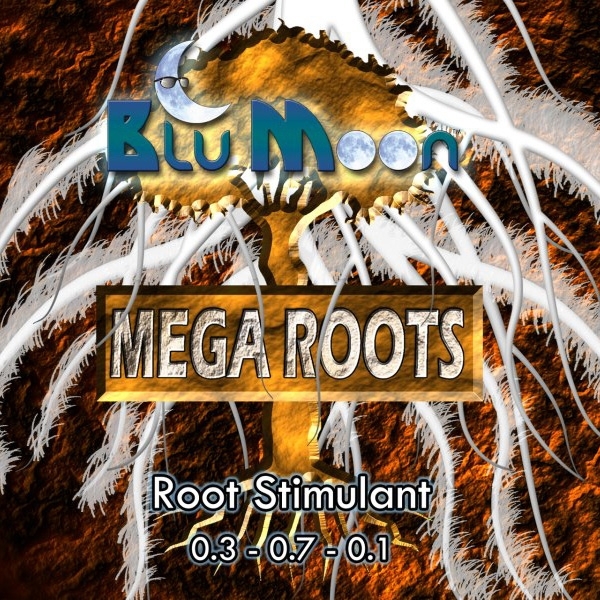 Mega Roots is an affordable root stimulant that will perform as well if not better than other root stimulants on the market. Mega Roots contains key ingredients that stimulate cell division and root formation and development. Use Mega Roots in hydroponic and soil applications where optimum nutrition for plant root growth is required. 1 mL per gallon. Day 44 - I had to travel, so she got water extra early on day 43 and extra late on day 44, only 1x daily. She lived. Home is elevated 3" for drain to waste, is 49" tall, now has 2 exhaust fans and 1 intake as well as side LEDs. Day 40 - fitting all this in the bucket gets harder each day.